Tu Ppl, which normally meets every Tuesday evening except the First Tuesday of the month from 7:00p-9:00p, will not be meeting on April 23rd due to the facilitator being out of town. This group will resume meeting the following week on April 30th at its normal time of 7:00p-9:00p. FU;BU (For Us; By Us)is our peer-led social group for Same-Gender Loving (SGL) Men of Color to meet, have fellowship with peers, and have discussions about common interests and issues. 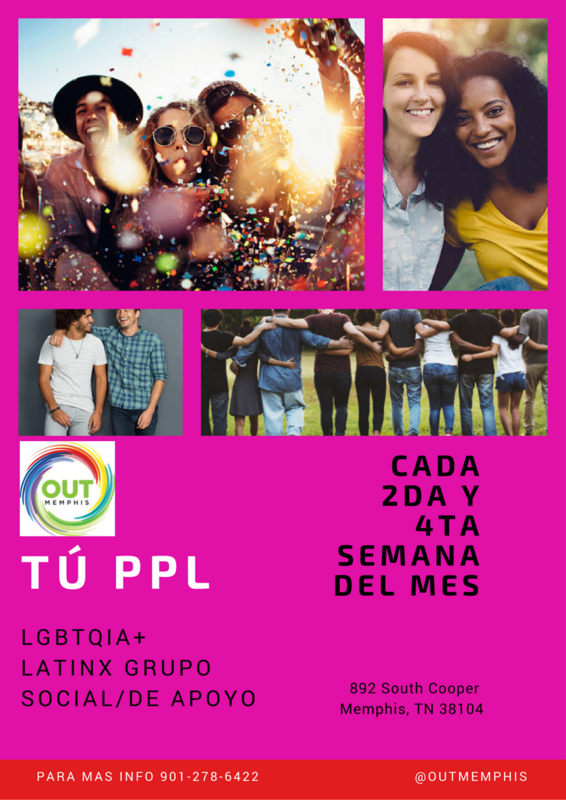 Tu Ppl is our peer-led social group for LGBTQ Latinx people to interact with each other and find common ground with peers in a safe and affirming space. For more information on FU;BU, visit the web page or email us. For more information on Tu Ppl, visit the web page or email us.